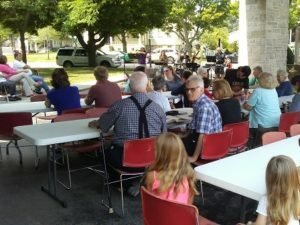 Adult and Family Committee sponsors an annual All-Church/Neighborhood Picnic. FPUMC invites all neighbors around the church, to come and join us for a day of fun for the entire family with games, food, and entertainment. This picnic is typically held in July or August. Look for it advertised on the home page. This is a major fund-raiser for our summer youth mission trips. A nice meal is served at a minimal price. This is followed by an outrageously fun dessert auction where tables bid on fantastic homemade desserts. 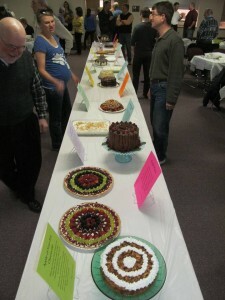 The dessert auction is usually held in March or April.